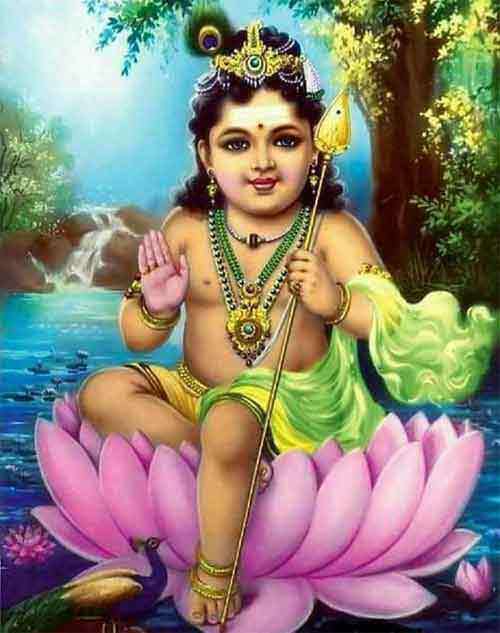 Krittika Vratam is dedicated Murugan and is observed on the Karthigai Nakshatra day. Karthika or Karthigai is one among the 27 birth stars. Legend has it that the importance of Karthika Vratham was narrated to Sage Narada by Ganesha. The fiery spark that fell from Shiva which finally was born was six babies were looked after by Six Goddess of the Karthikai constellation. The six babies were later joined together by Maa Parvati and this led to the incarnation of Muruga. Sage Narada wanted to become the greatest Sage and constantly remain in Brahman realization. Ganesha then advised Sage Narada to perform the Krittika Vratam. Other important Vratas dedicated to Muruga are Friday fasting, Sashti fasting and Skanda Sashti fasting after Diwali. Devotees observe a fast from sunrise to sunset on the day. Rice prasadam from Murugan kovil is consumed by some people in the noon. Prayers and mantras dedicated to Muruga are chanted on the day. Some people read stories of Muruga from Puranas. Visiting Muruga shrines atop a hill or on the banks of rivers is considered meritorious.